Are you bored with the same old solid color polish applications to your nails? Discuss the latest nail art advances that allow creative expression right to your fingertips with one of our nail technicians. Energize and brighten nails with designs that are created and applied by the talented team of design experts at Urban Soul Salon and Spa. Our clients can choose from a wide variety of ideas that range from the simple and clean- cut, to the bold and elaborate; or customize your own nail art designs for a completely original look! Urban Soul Salon and Spa nail art specialists offer expertise and inspiration and begin each nail art appointment by applying the base coat of your choice from our selection of top quality products. p We encourage you to visit our salon to discuss your nail art ideas and choose from our range of options to get started! Adding gems and stones can make even the most basic manicure stunning. Urban Soul Salon and Spa technicians use gemstones to enhance any design or various nail art techniques. Customize nail art according to holidays and special occasion or to simply liven up ordinary nails. Urban Soul Salon and Spa salon specialists help plan nail art designs and offer experienced advice to encourage the creative ideas of our clientele. Art applications start with clean and trimmed nails and nail enhancements if needed. Designs are applied with a thin tipped brush and specialized tools from a talented technician. Choose from a colorful and diverse range of nail art accessories and extras. A protective and durable clear polish application completes your creation. 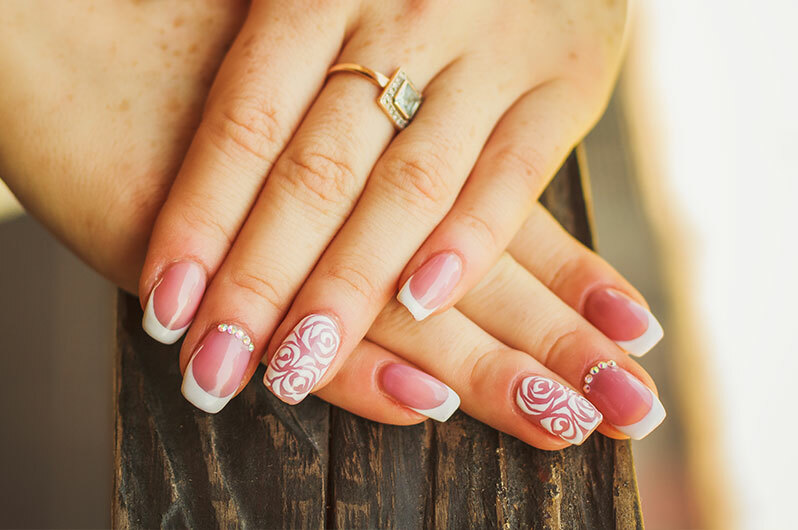 Once reserved solely for the rich and famous, superior nail art services are available from experienced technicians from our full service salon. Call for a free consultation.